/ How do I Create an Instagram Nametag? One of the most amazing things about social media is how often sites and services copy each other. Snapchat comes out with its popular SnapCodes and it’s no surprise that Instagram has to follow suit, but with something that’s not quite the same thing: Nametag. In both cases, however, you need to use the app to scan the image so it’s of value, but only limited value for most people. Still, I’ve seen SnapCodes on projection screens when people are giving presentations at conferences, and on signage at a store, so if you prefer Instagram, Nametags will offer the very same functionality. There ya go. Tap on “Nametag” and you’re good to go. Done. That’s it. Easy, right? More importantly is the bottom: Scan a nametag. That’s how you can scan someone else’s Instagram nametag. Which kind of limits its value if people don’t even know how to scan an Instagram nametag, but perhaps they’re just hoping it’ll become super popular and everyone will just know how to scan ’em? Back to the very top, though. Tap on “COLOR” and you’ll find that it’s one of three possible versions of the Nametag: Color, Emoji and Selfie. Rather abstract so hard to tell what it is, I know. Maybe they should have less occurrences, but bigger? Or maybe this is aimed at teens who have excellent eyesight? Already looking a bit suspicious – where’s the graphic? – but I’ll proceed. Which turns out to be a completely pointless exercise because when it’s posted to Facebook, there’s no actual Nametag graphic included. What the heck? Uh, um, did they test this feature? 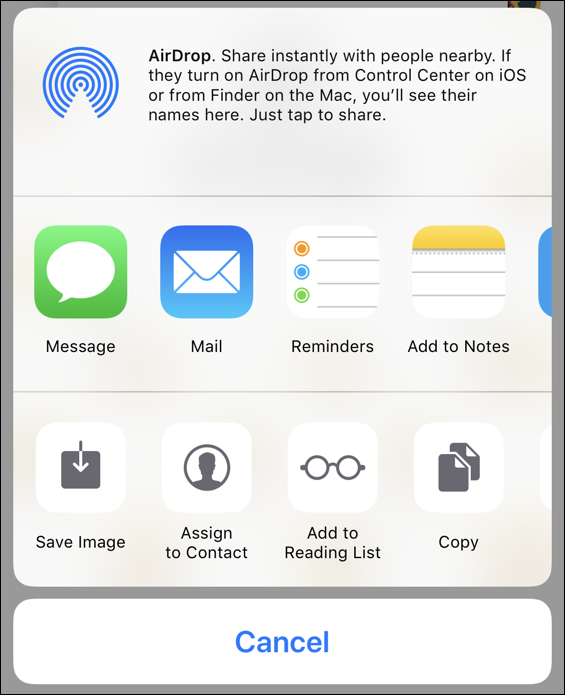 There’s really no point in offering a share feature if you can’t actually share the graphic, right? 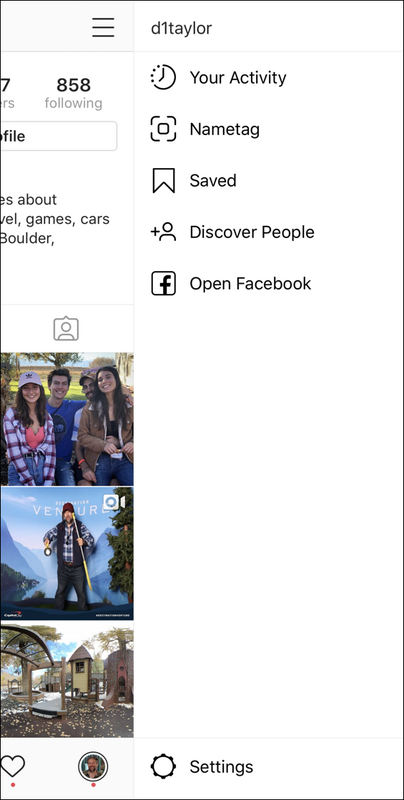 So instead the smart way to share your new Instagram Nametag on Facebook is to save it to your camera roll, then go into the Facebook app and post it. Not so great, but the end result is still pretty slick. And that’s it. That’s how you create and share an Instagram Nametag. Give it a try! 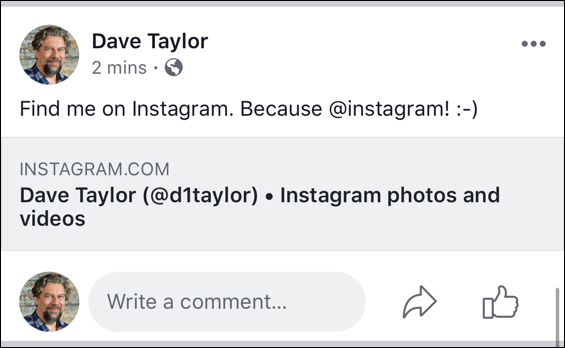 Pro Tip: I have lots of Instagram help on the site, please take a few minutes to check it all out.